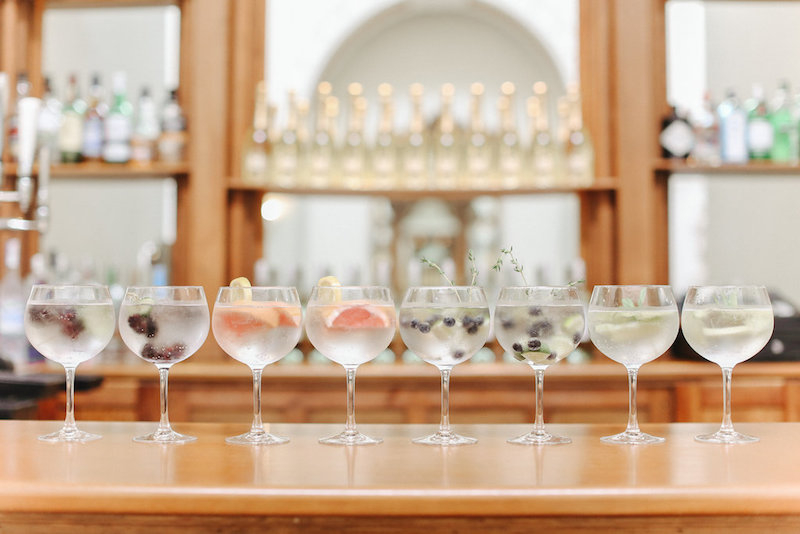 Whether it’s paired fine wines, perfectly presented cocktails or the most delicious fizz, we take our drinks oh so seriously at Lartington hall. Choose your wines, prosecco and champagne from an expertly sourced and extensive list to create the perfect match to your food choices. It’s not just about perfect flavours either – our drinks look as simply wonderful as they taste! With a choice of fabulously stylish glassware, you can feel super smug your guests will be properly wowed! 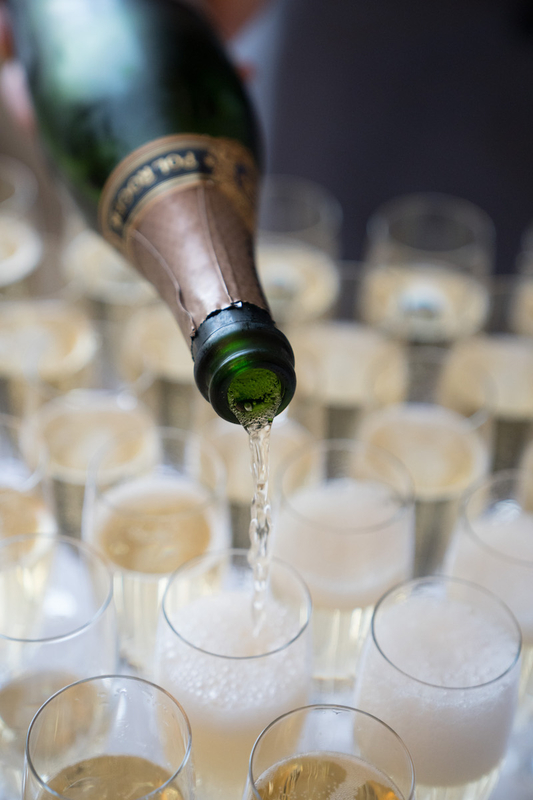 Choose your reception drinks, your wines for dinner together with your toast fizz from an extensive, delicious and fully customisable list. No ghastly packages in sight! Choose your drinks for each stage of the day. Truly, happy days. We are proud that the exquisite Pol Roger is our champagne of choice, as Pol Roger choose to supply a mere handful of venues across the North. Pol Roger was William and Kate’s champagne of choice at their wedding and is possibly best known for being Winston Churchill’s favourite tipple! By appointment to her Majesty, the brand is characterised by understatement, refinement and elegance and oh yes, the most delicious champagne! 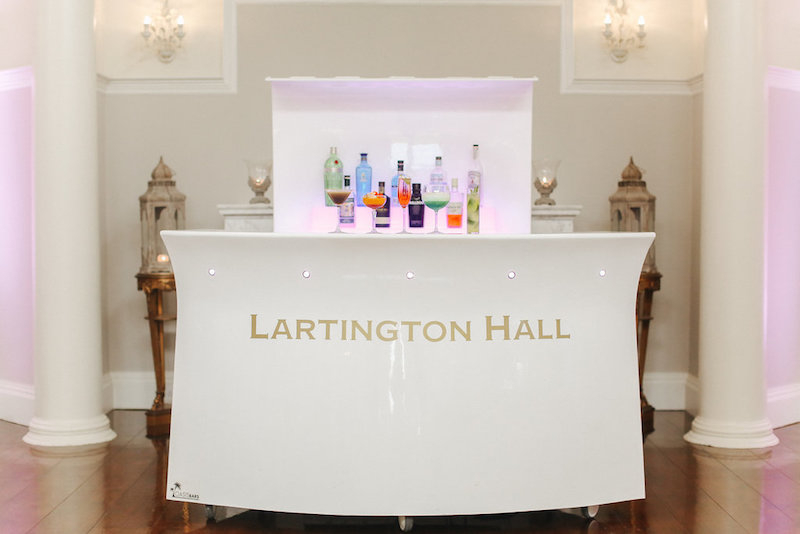 Together with our beautiful antique bar, our mobile and super stylish cocktail, gin and fizz bar will really create the perfect party vibe. 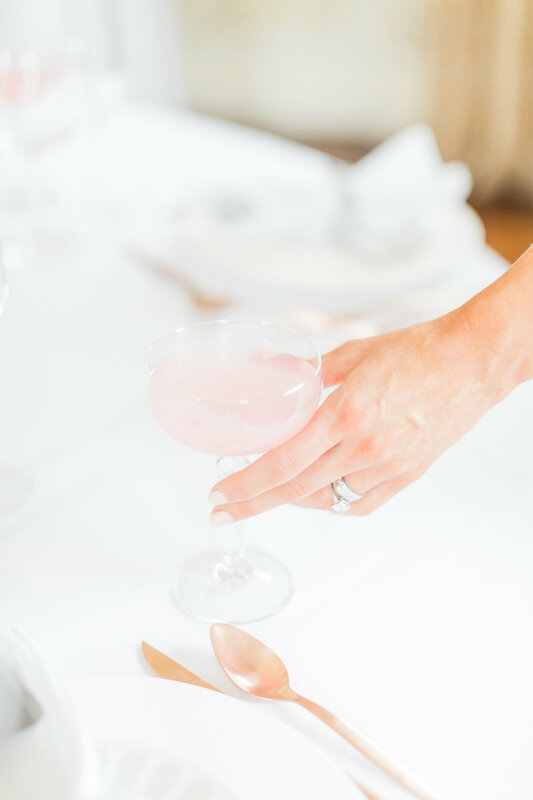 With a range of uplighter colours as well as yummy signature cocktails, our bar allows you to add the perfect personal touches to your big day, special event or private stay. Beautiful images thanks to the fantastic Belle and Beau Photography unless otherwise stated. 'Pol Roger being poured' Image by Sean Elliott. 'Bride with Champagne Saucer' by Katy Melling.